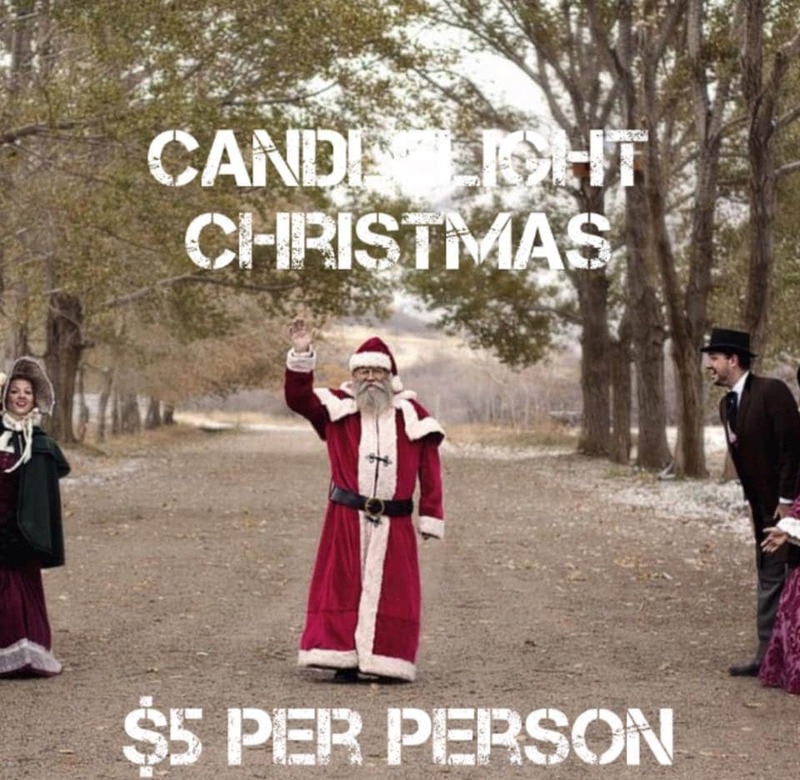 Candlelight Christmas will be held from December 9-23, 2016 at This Is The Place Heritage Park in Salt Lake City. Back in simpler days Christmas was a time of great kindness: Folks wandering the avenues, caroling for neighbors, gathering and warming themselves by a street fire, children wrote letters to Father Christmas and gingerbread cookies were crafted in an old-fashioned coal stove, storytelling was told as the family settled in around the hearth of the home, an old fashioned Christmas. Then time advanced and Christmas goes by in a black Friday rush. Why not slow it down and bring back the magic of Christmas at This Is The Place Heritage Park. Visit Historic homes and warm yourself by street corner fires while listening to the Heritage singers. See Father Christmas, and a live nativity. Kids can enjoy the naughty and nice list, and maybe even a warm meal at the Huntsman Grill. Reduced Admission this year only: $5 for EVERYONE! Enter to win 6 admission tickets and a dozen doughnuts to This Is The Place Heritage Park. To enter to win, leave a comment with your favorite Christmas/holiday tradition. This giveaway will end on Wednesday, December 7, 2016 at 8 am. One random winner will be chosen. No purchase necessary. Entrants must be able to use the tickets between December 9-23, 2016. My favorite Christmas tradition was making cookies and caroling (often off key) with my family. We always make gingerbread houses and have pizza. My kids now love the tradition too. My favorite tradition is getting together with all my family on Christmas Eve, and celebrating together! Decorating gingerbread houses with the family, eating lots of good food. Going to Midnight mass and finding items that “Santa” left for us. We have fun acting out the Christmas story – even the grown up kids love it! My favorite Christmas tradition is making tamales with my family on Christmas Eve! Driving around looking at lights and making Christmas cookies! Festival of trees with my kids is my favorite holiday tradition as well as going to a drive through light display. My favorite tradition is having root beer floats on Christmas eve with family and friends. My favorite tradition is our Christmas Eve dinner. Everyone brings/makes 2 finger-type/cocktail-type foods. We’ve done it for as long as I can remember. We like a lot of presents. We we were younger and had less money a 3 pack of socks would be broken apart and wrapped as 3 separate presents. I don’t think we ever got down to wrapping individual socks, but we might have. Anyhow the tradition continues as we often by several small moderately priced items to up the “present count”. My all time favorite Christmas tradition is our annual family movie marathon. It developed before my husband and I even started dating and here we are 7 years later enjoying it with our little family. We love to snuggle for the evening with hot coco, our son and pup, in the glow of the Christmas lights. We always invite family and friends to join and love the extra company throughout the month of December! Merry Christmas! You have won this giveaway! 6 tickets will be waiting for you at will call! Congrats!